A romantic Scottish destination wedding venue, surrounded by a scenic estate and lochs and the ultimate rustic romantic barn. The luxury lodge boasts eco credentials that give you peace of mind that marrying in style needn’t impact the beautiful environment. 80 minutes by road from Glasgow or helicopter landing available. Their venue, your theme. Let Carrick Castle Estate be your blank canvas – they will assist as much or as little as you like with suggestions from their fantastic locally sourced, tried and tested suppliers. Whether you are looking for a grand marquee affair, a rustic barn with charm, or small and intimate celebration with style – Carrick Castle Estate can accommodate all your needs with Scottish hospitality that aims to impress. 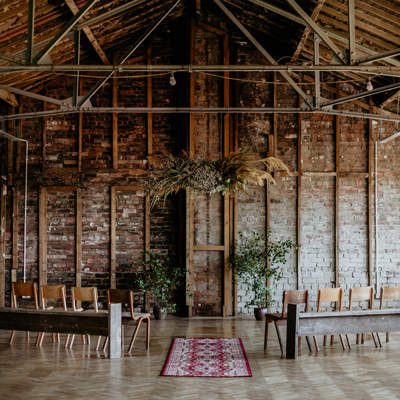 Book a rustic romantic barn wedding or a marquee grand affair for up to 160 guests with two nights accommodation, and stay an extra night for free. Let Carrick Castle Estate host your special day on the West Coast of Scotland and treat your guests to the breath taking views of Lochs, hills and rugged mountains. Whatever your style, vision or dream – bring it to life at this magical destination venue.